Well. This is an odd little memoir. 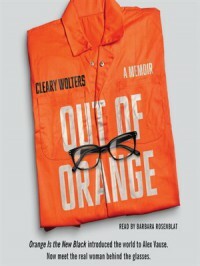 I find it funny that it's titled "Out of Orange" given that only about 20% of the book takes place in a prison. The first 75% is backstory and setup. And a lot of talk about cats. So much narrative about cats. It's, uh, interesting. Not a masterpiece, but certainly not the worst thing I've ever read.